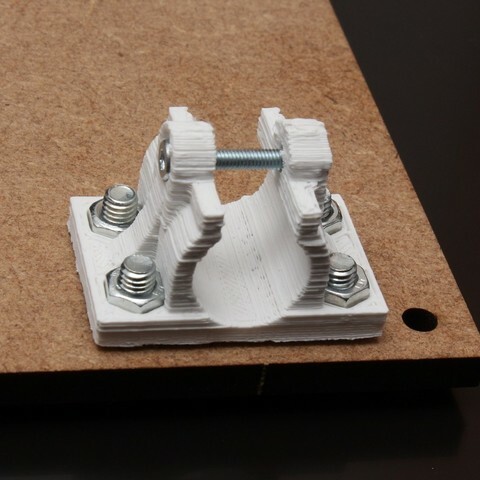 This is a modified version of Jonas Kuehling's "Y Carriage Mounting Frame for Slim LM8UU Holders". It includes two mounting tools: snap_on.stl and rod_end.stl. 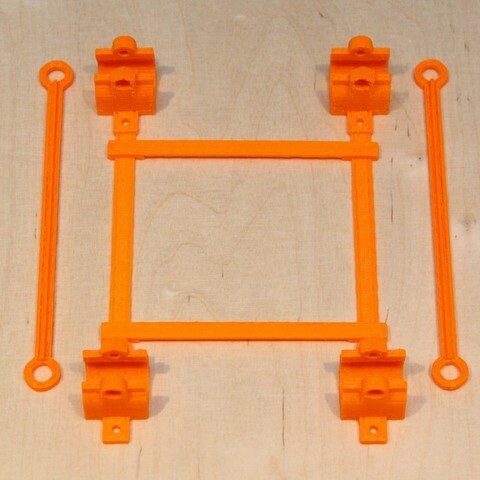 The idea is to have a maximum distance of the smooth rods by printing two connected LM8UU holders diagonal on the print bed. You can make a larger print bed for your next new 3D printer with this diagonal technique. This technique causes a poor alignment of the two holder pairs.  But the additional mounting tools will help there. 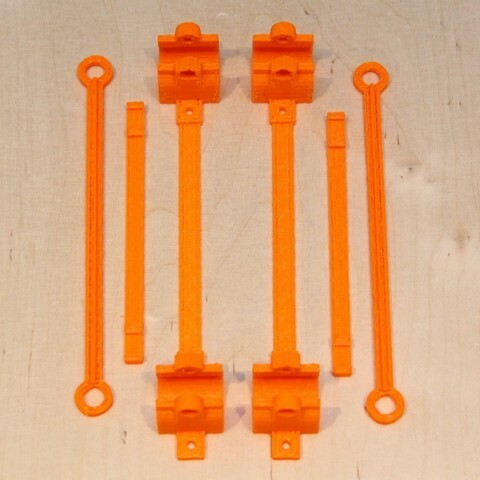 If the smooth rods are not parallel, a rod fixation clamp can break apart after a while and bearings may fail sooner. Added a new modification of the LM8UU holder. The enforced side walls reduce the risk of breaking. You should be able to adapt the nuttraps to you needs. Adjust the OpenSCAD file and change the frame_length and rod_dist values. To use the OpenSCAD file you need the extra "lm8uu-holder-slim_v1-1.scad" from the ancestor version. 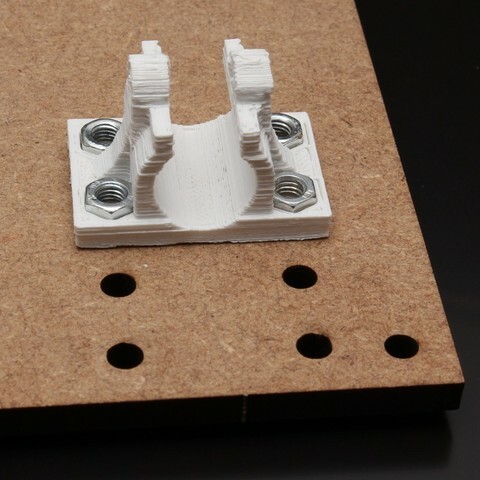 You can print the connecting snap_on part, if you need more help for the alignment of the holders. The rod_end part is for checking that the rods are parallel. To get a more precise alignment, mount all bearings and the smooth rods before the fixation on the bottom plate.